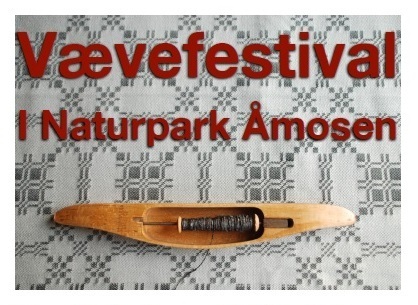 I shall be teaching on the subject of “One warp, infinite designs” at this year’s Festival of Weaving organised by Weavers in West Zealand and The Weavers’ House, working in collaboration with West Zealand Museum, Holbæk Museums Association, Kalundborg Museums Association, Odsherreds Art Museum & the Friends of Malergården (The Painters’ Farm), Åmosen Nature Reserve and the Support Fund for Åmosen Nature Reserve. 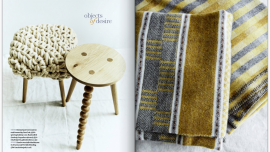 The aim of the Festival of Weaving is to pass on knowledge and experiences, helping to preserve and protect crafts, cultural heritage, nature and cultural life in West Zealand – returning to a forgotten time, seeking to make ancient knowledge relevant and vivid for people today. 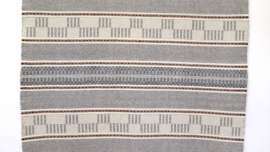 On DAY OF THE LOOM there will be a special programme for those with an interest in weaving. Visitors have the option to participate both in the Festival of Weaving’s regular programme and in a series of events which centre around weaving, weaving and more weaving! We particularly recommend that people with a particular interest in weaving visit the Festival on this day. On KAROLINE GRAVES Day we focus on the story of the author, folklore collector and craftsperson, Karoline Graves, who lived 1858-1932. 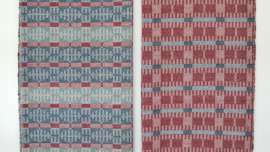 Join us for a tour (by textiles expert Minna Kragelund) of the exhibition ’When Past and Present Meet’ and learn more about the life of Karoline Graves. You can also take a nature walk with Ella Petersen and Katrine Møhl in Kattrups beautiful surroundings. The Festival of Weaving 2017 will be marking the Danish Constitution Day with three talks by women: Karoline Graves herself (a.k.a. Gitte Stolberg), former politician and chair of WWF Gitte Seeberg (11:30), and journalist and author, Lone Kühlmann (14:00). Come and hear what these three speakers have to say. Taste Åmosen. Local food and drink producers present their products. Tours, lectures and nature walks (in both Danish and English) about Karoline Graves, Åmosen and West Zealand. Art and Crafts Market with weavings and weaving materials for sale.